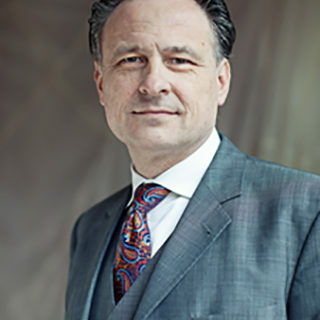 Eckard Nachtwey is the Director for business standards for the IPR Group. A German Attorney at Law, Mr Nachtwey supervises the professional training of young practitioners as well as guides the IPR GROUP team on IP events worldwide. His duties include the implementation of international standards of business and communication, grounded on a strict German approach to details and policies. Mr Nachtwey studied at the University of Kiel and specialized in commercial and company law. He was admitted to the bar in 1994 and has been practicing law in Bremen since 1996. During his stay abroad at a law firm in Hong Kong, Mr Nachtwey gained extensive expertise in the field of intellectual property and industrial property rights. He also worked in the Trademark Department of the Pharmaceuticals Division of the BASF chemical group and gained special experience on the requirements of a large corporate group in connection with trademark law. He has since managed his own IP and law practice in Germany. Competition law, trademark law, copyright, design right, infringement actions also in relation to patent law and utility model law, license agreements. Lecturing at the FOM – Hochschule für Oekonomie & Management (College for economics and management). Moderating and speaking at IPR GROUP seminars and meetings, organized for patent and trademark attorneys of the CIS, and for the sharing of practical knowledge of IP practices and exchanging opinions on recent trends in the field of IP.